Vitamin D, traditionally well known for its role in maintaining optimal health through its contribution to calcium metabolism and skeletal health, has received increased attention over the past two decades, with considerable focus being placed on its nonskeletal benefits. 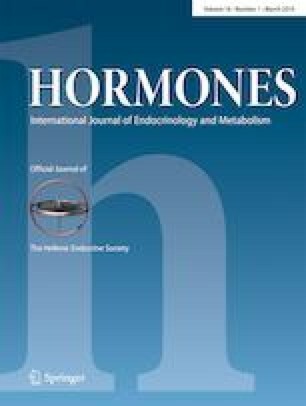 This paper is a narrative review of the nonskeletal health benefits of vitamin D, of particular interest to inhabitants of Mediterranean countries, namely, autism, cancer, cardiovascular disease, chronic obstructive pulmonary disease, dental caries, diabetes mellitus, erectile dysfunction, hypertension, metabolic syndrome, respiratory tract infections, all-cause mortality, and pregnancy and birth outcomes, because of the relatively high incidence and/or prevalence of these disorders in this region. Currently, the best evidence is coming out of observational studies related to serum 25-hydroxyvitamin D [25(OH)D] concentrations. Vitamin D clinical trials have generally been poorly designed and conducted, usually being based on vitamin D dose rather than 25(OH)D concentration. The optimal 25(OH)D concentration is above 75 nmol/l (30 ng/ml), with even better health outcomes in the range of 100–150 nmol/l. Achieving these concentrations with vitamin D3 supplements will require 1000–4000 IU/day of vitamin D3. Sensible sun exposure should also be encouraged. Countries should also consider fortifying grain and dairy products with vitamin D3. The author receives funding from Bio-Tech Pharmacal (Fayetteville, AR).